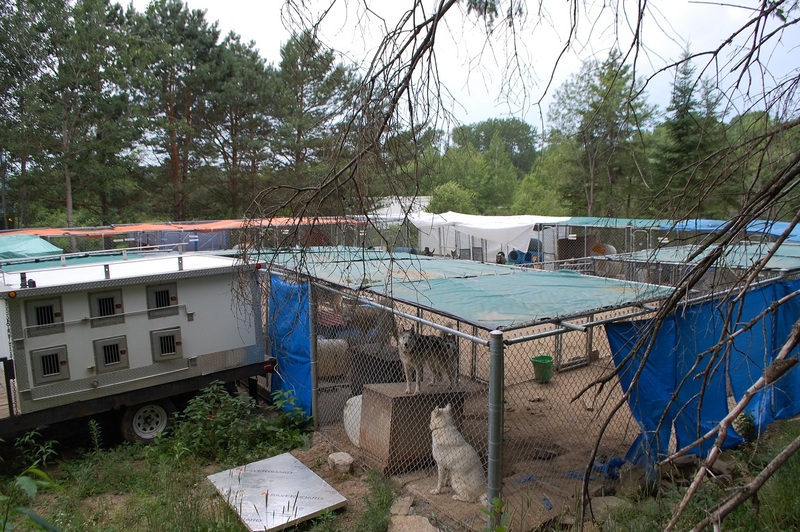 Last week, the Ontario SPCA (OSPCA) announced charges against the owner of Hidden Meadow Farm, the kennel that provides dog sledding and trail rides at Deerhurst Resort. Of the other two dogs, only one ended up being surrendered – Elvis, who had a lump bigger than a golf ball under his knee, but Ride says he had it when she bought him and he’d never shown lameness because of it. 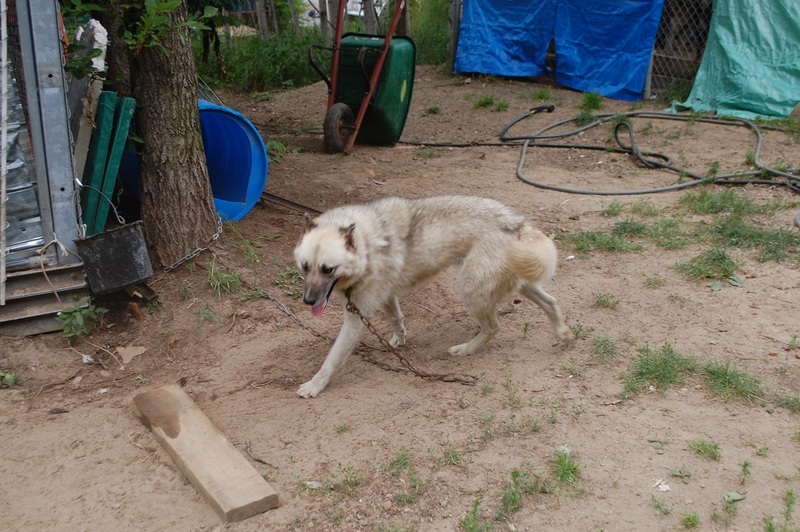 The fourth dog, Frost, had an infected ear that had healed by the time officers returned. The charges came later, says Ride. “They came back and charged me with animal cruelty, which really upsets me because I feel I was trapped. I won’t surrender my dogs again.” She invited this writer to stop by and see the dogs. 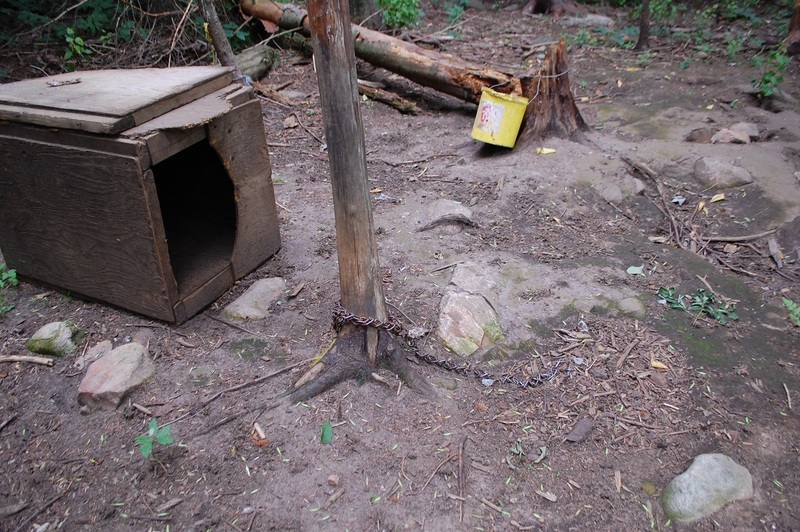 The photos below show the dogs as they were at that time: most in kennels by twos, and two dogs chained outside the kennel area, one nearby and one just up the hill in a forested area where there were also other single shelters and chains. There were no kennel staff present. Matt Todd, the former owner of the kennel who sold the operation eight years ago to Ride, said that he filed a complaint about treatment of the animals in May of 2014. After he received a tip from a friend who was concerned about the animals, he says he went to the kennel and, based on what he saw, called police. He also lodged a complaint with Deerhurst. He took photos of the dogs, some who were emaciated, some who were chained to stakes, and one of a deceased dog in a wheelbarrow. Todd also said that while he’s had dogs fight, they’ve never come away with more than a few puncture wounds and none have fought to the death. He currently owns four sled dogs, two of which he took back from Ride’s kennel – one seven years ago that was in good health and one last winter that was in rougher shape and had a tooth hanging by a piece of skin. Ride says she understands their business situation. “Deerhurst has done the right thing. I have no concerns, the SPCA was at the farm two or three days ago and had no concerns. And if Deerhurst wants them to come back in, that’s fine. Ride says she doesn’t agree with the charges against her and will be hiring a lawyer. She will answer to her charges August 23 in Bracebridge court. Don’t miss out on Doppler! Sign up for our free, twice-weekly newsletter here. This is truly heartbreaking and utterly disgusting. The owner is clearly in denial and should be banned from ever owning any kind of animal. When a beloved pooch dies, the last thing a responsible pet owner would do is stuff it in a wheelbarrow and leave it for later. This repulses me to the core. I hope justice prevails and this horrible human never gets the chance to ‘care’ for any animal ever again. It’s so sad that she would neglect these precious dogs of everything they deserve. Especially love. This is a perfect example why we need to pass the BILL C-246 (please check it out and sign it, for the animals) The BILL C-246 will make it easier to convict those who neglect animals by failing to provide them with suitable food, shelter and care. 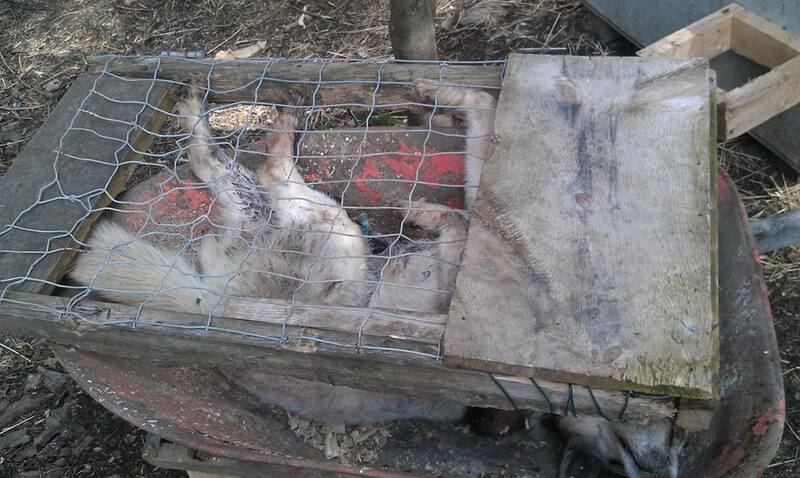 Currently prosecutors must prove “Willful neglect”, which is contradictory and confusing standard that sometimes allows puppy mill operators or those who starve animals to escape criminal convictions. BILL C-246 strengthens sentences for special animal abusers with a mandatory lifetime ban on animal ownership for any person convicted of animal cruelty for a second time. If this law was passed, this woman, Shani Ride would NOT be allowed to own or operate her disgusting ‘business’. 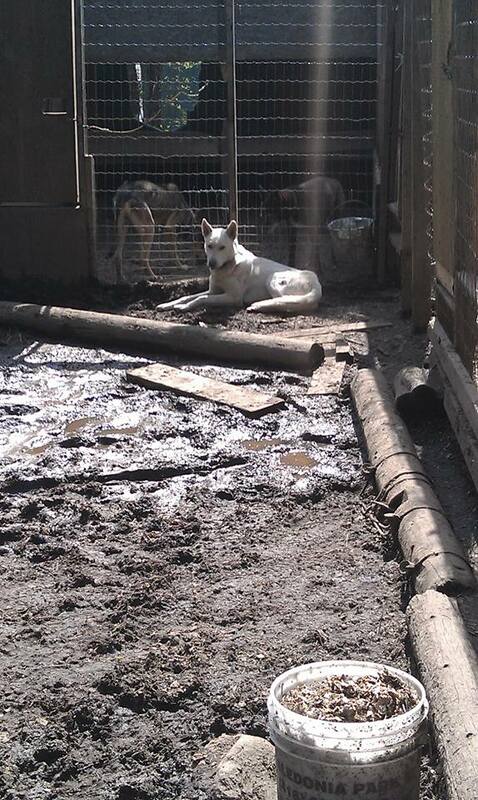 We need the public to know who, where and how these dogs are treated when they choose to use her business. I wonder, if they saw these dogs when they are not being ‘used’ for entertainment…would they still pay to help her continue with this abuse. It is nothing more then animal abuse. I am worried that Bill-C-246 won’t have the bite it really needs to. While the fact that a new section of the Criminal Code dealing specifically with animal abuses is being proposed, I think more specific sub-categories need to be spelled out. Those would be laws governing breeders, hoarders, puppy mill operators, dog-fighting match operators, sled-dog operations and zoo (including petting zoo operators) , the reason being that there are multiple animals subjected to cruelty. April Dawn Irving, the poster woman for the mistreatment of animals, has been able to run two puppy-mill operations in two separate provinces. She has made a complete mockery of the judicial system on two separate occasions. She failed to appear for her last court appearance and is nowhere to be found. The most worrisome aspect of this farce, is that she is likely starting up a third animal death camp in Saskatchewan. She needs to be behind bars and only specific legislation will assure that she cannot outfox yet another judge. This owner is a disgrace! She cares only about the $ she makes with no concern for these dogs! Close her down permanently!!! 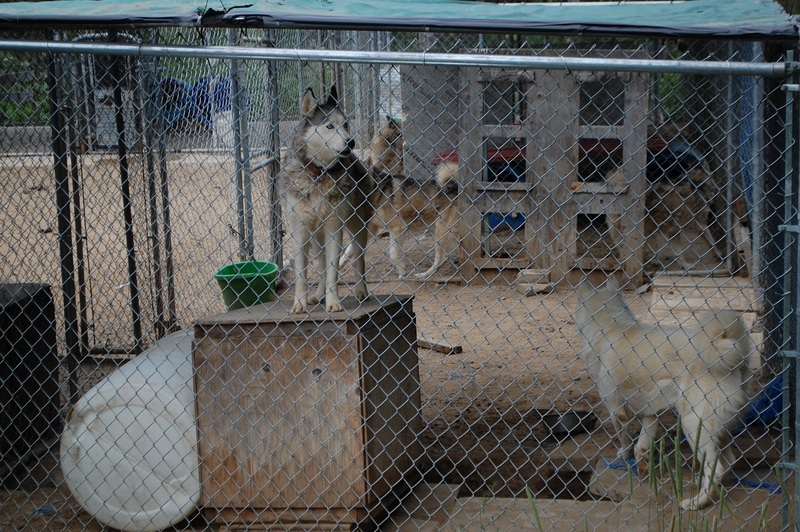 The photos shown indicate the living quarters of these sled dogs. Why does our comunity allow/condone this inhumane treatment of these dogs? 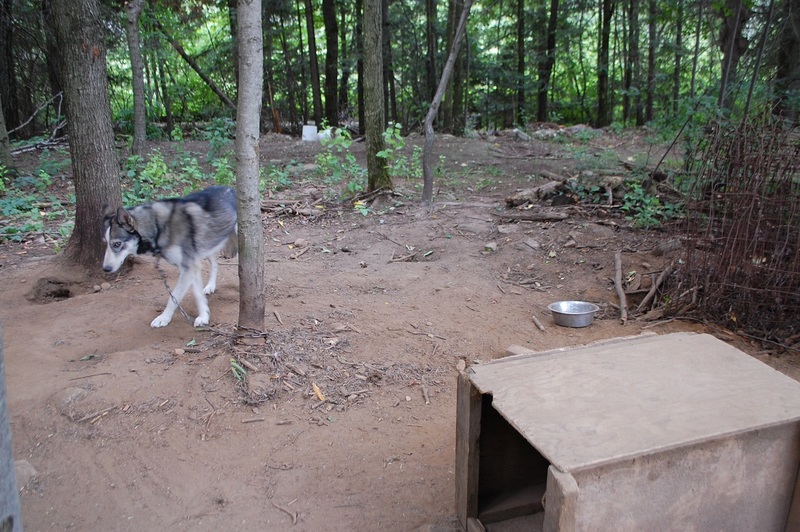 It seems incomprehensible that a major tourist establishment such as Deerhurst would allow this low grade kennel on its property and further promote sled dog rides. Do they not have standards for such “atractions” that occupy their property? Further, getting to the core issue. Is there any grey area concerning whether the kennel owner is competent or negligent? Since the inappropriate housing and care of these dogs is blatant, it’s up to the people to voice opinion calling for maximum penalty and confiscation of all the dogs involved. The Animal Shelter for Huntsville has substantial funds in their coffers to assist in this incidence. Maybe they should be called upon to save these dogs, provide veterinarian care and all that is neccessary to find loving adopting homes. Proactive action is necessary now. Shut this disgraceful operation down permanently and criminally charge this person immediately . To allow this woman to continue to operate anything is a travesty. This is typical of the OSPCA. They are no longer in business to protect animals. They are in the business of making money under the guise of protecting animals. 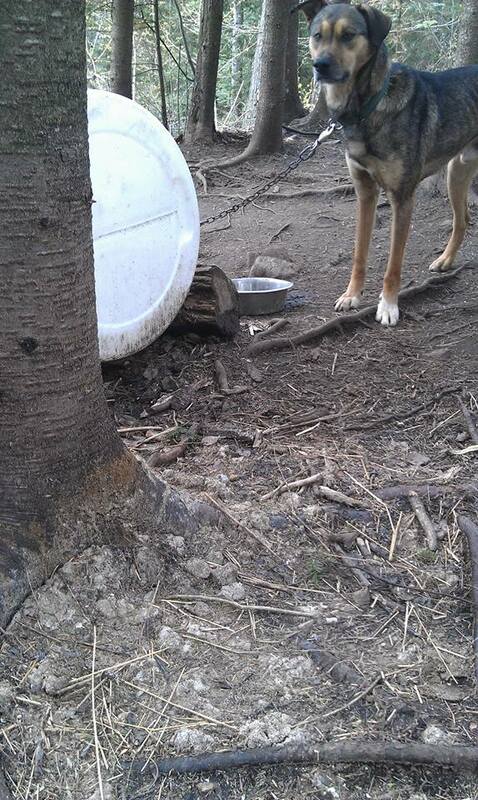 This is only one example of OSPCA allowing abuse and negligence to continue. This is a disgrace. What also is a disgrace is that the enslaving, torturing, and killing of defenceless cows, pigs, sheep, chicken, etc is deemed normal. Also disgraceful is the fact that while the OSPCA and branch/affiliate humane societies proclaim to be “the voice for animals”, they hold fundraisers at which they primarily serve beef, chicken etc. Supporting the killing of animals to raise money for animals, how ethically twisted is that? Absolutely disgusting! 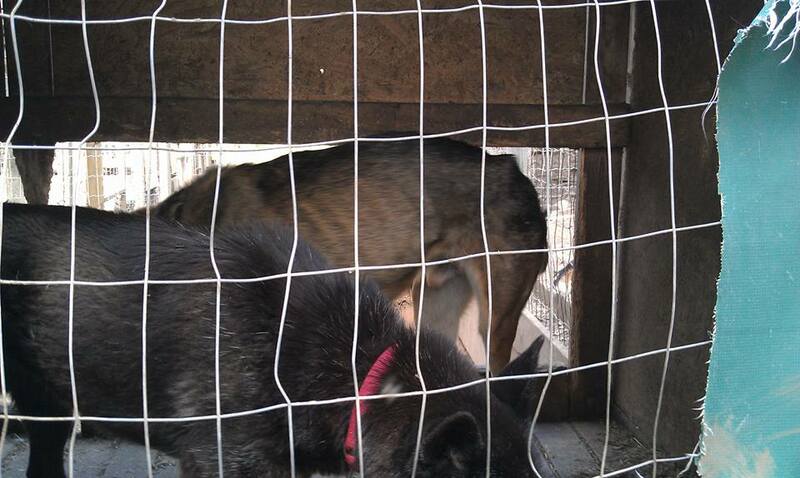 If the owner of the sled dogs can’t afford to HUMANELY care for the dogs, then get out of the business!!! As a dog owner, it is my responsibility to care for every need of my dog. If I couldn’t afford proper vet care, I wouldn’t own one! And I’ll also say that I would boycott Deerhurst Resort for contracting with such a barbaric, unfit sledding operation! If sled dogs are used for your income, then take care of them to a standard that they deserve. Otherwise, get out of the business. This is 2016. 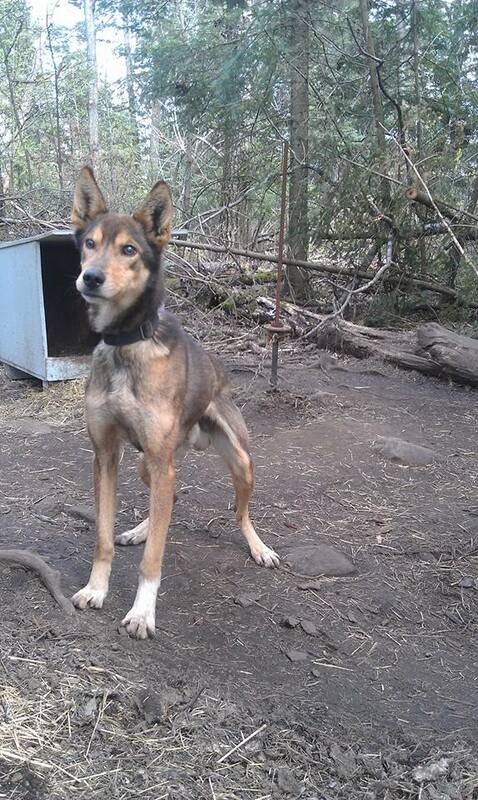 In Ontario (Deerhurst) sled dogs should not be considered a ‘recreational activity’. Get a job where you use yourself and not some poor defenceless animal. What I don’t understand is why Deerhurst isn’t at the forefront of this investigation? Just like their golf course, pool, stables etc…The dog sledding was a part of the resort activities, therefore why is this all falling on Ride’s shoulders? Yes, she is the owner and yes, the facility is in a state of disrepair, but why wasn’t Deerhurst more involved with her ownership? It’s very plain to see that the facility desperately needed upgrading and the animals needed better care, but Deerhurst should have been more responsible? If something is broken at the Inn, I’m sure it gets the attention it requires in order to keep the clients happy and coming back, so why did they let a business run under their umbrella, especially one which has to do with animals lives and well being, operate under those conditions without saying or doing anything to remedy the situation??? Any time animals are used to make money there will be abuse. And money talks. Shut them down they don’t deserve the animals they have. I’m a groomer, I have bred dogs. BUT it was 1 dog, she was a Bouvier. She was a dog with a good show line, a family dog and was only bred when I had a waiting list. She did Not make me money, so stop making money off animals you have feelings for, they will end up fighting all time because they are not socialized. Get a life, get a real job, and try to find what compassion is. I am a dog groomer in Eganville, Ontario and a owner of both dogs and horses. I knew Shani Ride by her married name Shani MacDonald for a number of years when she lived in Eganville. Shani ran trail rides for another resort in Algonquin Park during that time. She had someone at the park taking out rides and caring for the horses. One of the older horses went down in the paddock and would not get up. Shani was contacted about the situation. That horse laid in the full heat of summer for a week before Shani decided to return the poor animal to Eganville to be destroyed. Do not be fooled by her boo hoos and statements of how much she cares for the unfortunate animals who come under her care. They are no more than a money maker and like she said “why would you vet a hurt animal when a new one can be bought for much less money? I have known Shani MacDonld-Ride for a number of years. I am the woman who was looking after her horses in Algonquin Park, and dealt with the sick mare mentioned in Linda Boyles’ comments. I witnessed many forms of neglect and abuse during the time Of my acguaintance with Shani. This is a woman who has no regard for the animals under her care and a life time ban would ensure that the lives and quality of life for many animals ,in the future ,would be improved. Don't miss out on Doppler! Sign up for our free newsletter which is published three times per week. Established in 2015 by a bunch of local news hounds, Doppler strives to be the go-to source for people wanting to know more about what is going on in Huntsville and the surrounding community. We strive to provide local news that is relevant and timely. We also look to tell local stories that inspire, inform and engage. Notice the persistent use of the word local? Our mantra is local. From features on local people doing extraordinary things, to local business spotlights, news and sports coverage, all supplemented by provocative opinion pieces on topics near and far, we are working hard for you. Feel free to drop us a line at [email protected] and tell us how we are doing, what you would like to see more of, or to just say ‘Hi’. Thank you for reading Doppler.